Our famous Saturday Sessions are back. Spring is finally back in Fremantle, the best town in Australia. 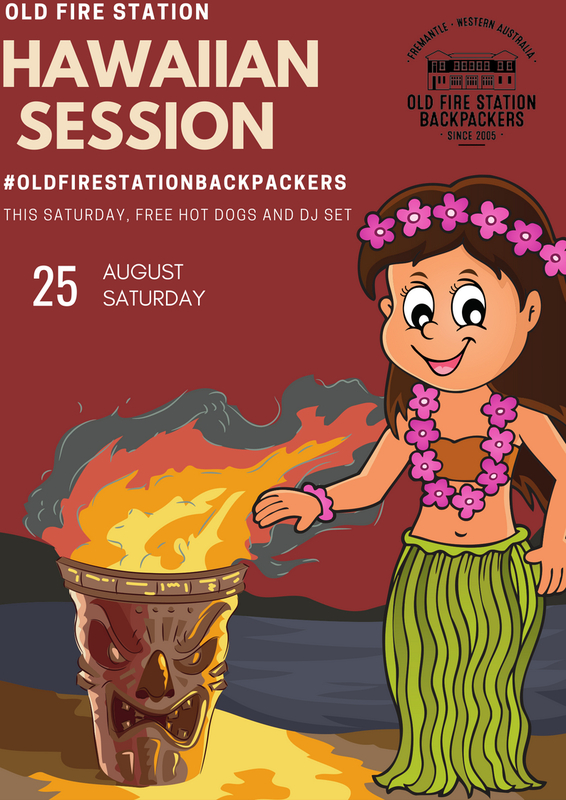 Let’s celebrate all together with an epic Hawaiian Saturday Session. Come and join us around 6 pm. Be ready for some gourmet hot dogs filled with delicious caramelised onion. Pack up some energy before the dj goes crazy and you’ll start dancing and jumping around.